Dear Santa. Thats how many letters from children start in December. Im no longer a child. But Ive stumbled upon something that I really want. Really want. This thing is so incredibly amazing that it is unbelievable that it is now available for civilians to purchase. Forget everything you know about super cars. Forget Ferrari, Lamborghini, Porsche, Pagani or Koenigsegg. Forget speedboats and the penthouse in Puerto Banus. Here comes the absolutely most awesome thing you can buy when the midlife crisis hits you. 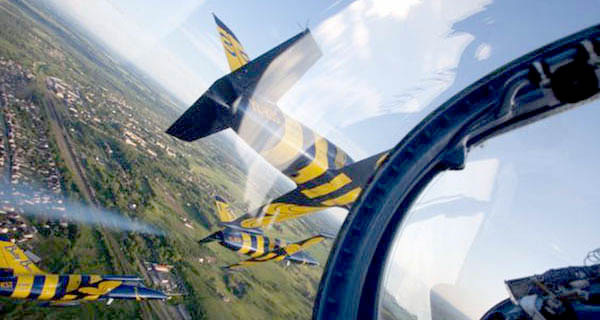 Aero L-39 Albatros. That's what is called. Let me explain what it is. It's definitely not a car. It's a military jet trainer. Developed in Czechoslovakia by the company Aero Vodochody in the late 60's it's the most sold jet-powered school airplane ever. Almost 3 000(!) units were built since 1972 and delivered to air forces all over the world. The primary buyers were former Soviet states, together with nice and friendly countries like Cuba, Libya, Syria, Iraq and so on. The airplane is relatively small. It is only 12 meters long and has a wing span just short of 10 meters. It only weighs 4 tons including pilot and fuel. As a comparison, the JAS 39 Gripen is 14 meters long and weighs almost 9 tons including pilot and fuel. JAS 39 Gripen is of course a much faster airplane, with a top speed of more than 2 200 km/h. Now the good news. You can actually buy and operate your own L-39 Albatros. It is not meant for war. It is just a trainer. Also, its getting old. A lot of air forces have stopped using the little jet long time ago. That is why many of the almost 3 000 airplanes built now are sold on the second-hand market to the highest bidder. The L-39 is not as fast as the Gripen. It is not supersonic. But, it flies almost 900 km/h. And you know what? It doesn't cost 40 million Euro. The price for a good second-hand L-39 starts at around 250 000 US dollars. Just 250 000 dollars! All depending on condition, equipment and how many hours the engine has been running. Compared to the JAS, the L-39 is a fantastic deal. 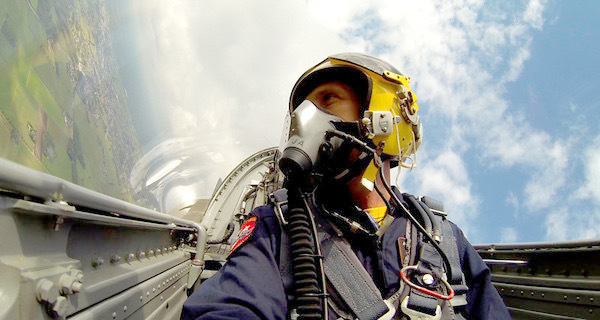 If you have a regular private pilot license you can fly the L-39 Albatros. The only thing you need to do is getting the extra certification for jet engines. You heard me right. After a few hours of getting to know the jet turbine, and type rating for the L39, you are good to go over 900 km/h in European airspace on your own. At that kind of speed youll be passing the fastest Airbus and Boeing machines from SAS or Etihad. You can also fly at the same altitude, since you have a pressurised cabin and an oxygen supply in your helmet. Just like a real military jet. There is no small civil aircraft in comparison. If you compare it to a car, even the Bugatti Chiron is not enough. You would need a car that goes 600 km/h to be even close. Now, lets assume you live in Stockholm. Your L-39 Albatros is parked in a hangar at Bromma Airport. Since your airplane has a top speed of almost 900 km/h you can imagine the possibilities. Gotland? Sure! Seven minutes after take off from Bromma you are landing at Visby airport. No one has ever relocated so fast from Stureplan to Visby. Malmö? No problem. It takes about 30 minutes to Sturup. Tallinn? About the same time. But you have to steer clear of Kaliningrad to avoid starting a world war. Dont forget that you are as terrifyingly fast as the real deal - a military jet fighter. Going to Berlin? Here comes the fun part. I love Berlin. According to my calculations it should take about 50 minutes to get there, if you go full speed. No matter where youre going, you can always bring a passenger (since its a trainer) and some luggage. When you park your L-39 Albatros on Schönefeld airport you are the coolest pilot of the bunch. Even the hotshots arriving in their Gulfstream G650 or Falcon 7X will feel like complete losers. All other pilots, flying regular Boeings and Airbuses will be green with envy. You are Superman. A superhero in the air. Fastest of them all. Air traffic controllers all over Europe will gossip about you on their coffee breaks. The elfish people of the north will write songs about you. About the the guy with the privately owned L-39. Yes, it's crazy. Yes, it's totally awesome. Yes, you need to buy one. Now. Do you want me to continue? 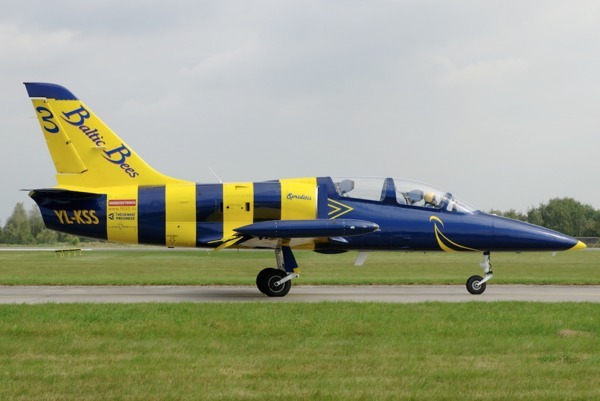 Or do you already realise exactly how wonderful it would be to own a L-39 Albatros? This is the ultimate gadget. The price is comparable to a sailing boat. The operating cost is about 1 600 Euro per hour. Not much more than a fast motor boat. The only problem is that you need a private pilot license and a type rating for the L-39. Something that should be possible to arrange at your local flight club in 6 months, if youre putting some effort into it. Then you are ready to become a legend. Maybe youre an average Joe in the week days. But in the weekends you will become Maverick in Top Gun. Like the idea of flying in a little jet fighter? But, not ready to buy your own plane? You don't have to. We have rented eight(!) of these bad boys together with pilots for our event in Riga later this month - Gran Turismo Baltica. 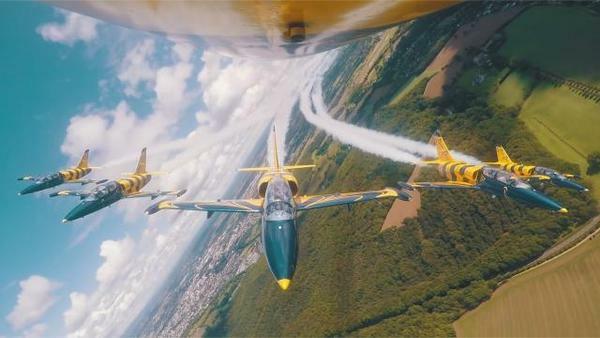 We are doing an airshow over Riga together with the Baltic Bees, who provide airplanes and pilots. Want to go in the back seat? Read more here. After six(!) years in Pärnu it is time to try something new. For the 2018 edition of this event we go to Riga and Bikernieku racing track. The track is only 7 km from the city centre, and we stay in the number one hotel in town - Radisson Blu. Three days of driving on the track. The last day (Saturday) we close down four streets in the city for a street show. While Riga has almost the same population as Stockholm you can be sure that we will have a lot of attention. Hungaroring and Budapest are awesome. In 2018 we are coming back. This time we will have three days on track - Wednesday, Thursday and Friday. The last day, Saturday, we organise a super car road trip through Budapest to Lake Balaton for lunch (and back). Just like in 2017 we will be staying at a hotel on the Danube, walking distance to all the great night life of Budapest. The days we will spend on the F1 race track hungaroring, and the nights will be in town. Every evening we will have a dinner reservation at new and exciting place. While in 2017 we tried something completely different, in 2018 we are back with the classic Europa road trip. For the 2018 Europa tour we return to Switzerland and the most beautiful mountain passes in the world. Say hello (again) to Stelvio pass, Grimsel- and Furka pass. Two places available. Following our Tuscany event in 2017, we are organising a new event in Italy in 2018. Next year we intend to explore the beautiful southern part of Italy. Start is in the Vatican(!) on the 8th of September. Then we drive south towards the Amalfi coast and Positano, Calabria and Puglia. One place available. For many, Spa-Francorchamps is the best racing track in the world. It has become a tradition to finish our seasons on here. As always we will have two full days of driving on the track, and three nights in Hotel de la source, located just by the track. "Not joining Gran Turismo Events at least once a year should be punishable by law."